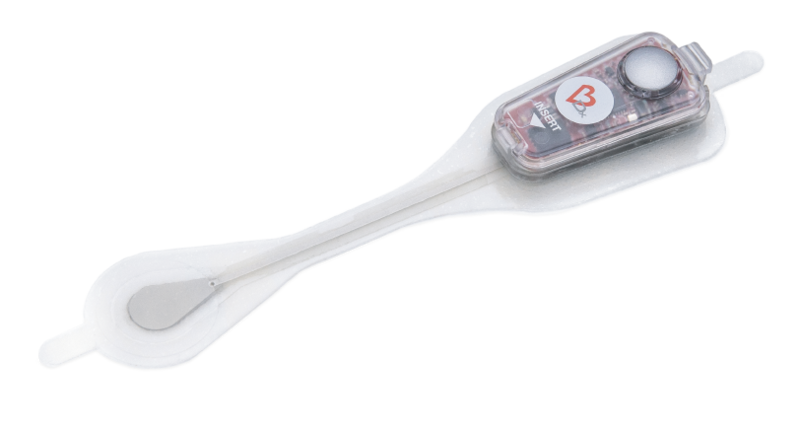 The Carnation Ambulatory Monitor — or CAM™ — is a lightweight, bandage-size cardiac patch monitor engineered to capture low amplitude, low frequency electrical signals that form the P-wave. This focus on the P-wave is a major advancement for cardiologists and cardiac rhythm specialists to aid in diagnosis of arrhythmia. The CAM patch is designed to be accurate, promote patient compliance, streamline clinical workflow, and yield clinically actionable data. A slim, hourglass shape is comfortable during extended wear for all patients. Single-use device design paired with a flexible patient management and registration portal. Unique and proprietary report format is focused on clinically actionable data. Integrated, scalable architecture optimizes visualization of P-wave morphology and its relationship to the QRS interval. The CAM patch can be worn during normal daily activities including exercise, showering, and sleep. Discreet, patient-friendly design increases comfort, potentially improving compliance. Up to 7-days of extended wear provides insight into a longer period of cardiac activity. *Zio is a registered trademark of iRhythm Technologies, Inc.
Easy data upload. Actionable reporting. The CAM patch is linked to a suite of ECG analysis services and tools. After data are collected, a secure web-based portal provides a single system for uploading and analyzing ECG data, accessing and managing patient reports. This comprehensive, flexible solution improves workflow and convenience for clinicians.